In 2018, Facebook had over 2 billion monthly active users and this number just keeps growing. Businesses today use Facebook as the main way to gain an online presence, but this social media platform has a lot more to offer if you use it right. Paid Facebook ads are a cheap, easy way to create some buzz around your business or product. However, you don’t always have to spend money to gain new customers or fan page followers. Facebook marketing will cost you next to nothing if you have a good strategy and know your target audience well. Keep reading to discover how using Facebook can benefit your business and help you grow a loyal customer base. The Facebook algorithm is changing constantly, making it difficult for brands to stand out in the crowd. Marketing your business on Facebook is a numbers game — the more likes, comments, and video views you have, the more your page will appear in people’s feeds. So how do you rise above the noise? First, you need to post useful content that’ll inspire people to share it and engage with it. Next, you can create paid brand awareness campaigns to attract new followers. You can also raise brand awareness by creating or joining Facebook groups. Be careful not to overpromote your business, as people don’t like being sold to. Be useful, relevant, and open to communication, and save the selling for later. One of the most important goals of a Facebook marketing campaign is bringing traffic to the business’s website. This is where most of the sales happen and you want people to visit and see what you have to offer. Whether you run a paid ad, boost your posts or just share blog content on your page, people have to be curious to visit. Your content should be useful and engaging to hook them in and once they land on your website, you can start generating leads. The main goal of social media networks is to express opinions, exchange tips, discuss topics, and connect with others. Brands can use these points to connect with their target audience on a deeper level that goes beyond selling them something. This is why social media marketing is so effective — it’s one of the best tools for building quality relationships with your audience. If you’re helpful, consistently post good content, and answer people’s questions, you’ll become an authority and a trusted resource. Anyone can create a Facebook ad, but it takes a real understanding of your target audience to create a successful ad campaign. Businesses who see Facebook ads as a way to reach a wider audience don’t realize that it’s not about the audience size; it’s about the audience quality. If you set your target as worldwide, you’ll reach bigger masses, but the campaign won’t produce good results. This is because you’re targeting everyone, and everyone is not your target customer. Next time you set your ads, pay special attention to the audience setting feature and think about the people who would be truly interested in your products. The main purpose of your business is turning a profit and Facebook for business is a great tool to drive revenue. You can create product ads to lead customers directly to your website or post unpaid content that’ll do the same. In one case, you’re targeting both old and new audiences, and in the second, you’re targeting your existing audience, depending on your goals. You can automate the entire process and let the campaigns run regularly. Different campaigns can have different target audiences, so you can cross-sell and retarget your existing buyers. In order to get the best ROI, you should dive into your Facebook insights and see how your audience behaves, learn about their interests, and which devices they use. Then, you can adapt and adjust your strategy and ads, along with the marketing budget. With Facebook ads, it’s sometimes easy to run cheaper campaigns, but always pay attention to the results they bring. The more you post, engage with people, and provide relevant, helpful content, the more trust you’ll build. When these people decide to become customers and you keep treating them well, you’ll build something every brand strives for — brand loyalty. You do this through customer support, replying to comments, posting relevant content, and acting on your promises. Many brands make the mistake of constantly pushing sales on social media, but this is a short-term strategy that brings little to no results. You’ll be the first company they think of when they want to buy, all because you treated them as friends, not as money making machines. Keeping them loyal is a whole other matter, so make sure you have a retention strategy as well. One of the main goals of Facebook for businesses is to build relationships with their target buyers. It takes time for people to start trusting your brand, but once they do, they make buying decisions much faster. Facebook marketing can serve as a customer service tool. You can answer customer questions and concerns, set up an FAQ section, or simply direct them to your customer service page or reps. This way of solving problems will help you build trust, and increase customer satisfaction. If people are happy with your service, they’ll tell their Facebook and real-life friends. Word of mouth is one of the most powerful marketing tools that you should take very seriously. Social media marketing is the most used form of digital marketing by businesses worldwide. It’s an essential part of building your online presence, sharing relevant company content, and connecting to your audience. 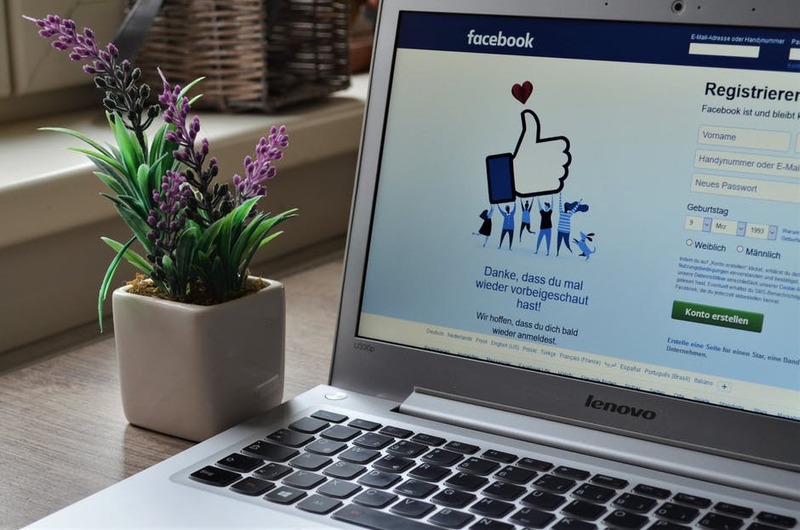 Facebook marketing is an effective, affordable way for businesses to grow their brand, reach new customers, and show the world what they’re made of. Curious to learn how to use Instagram marketing for your business? Read this article to see how this popular platform helps restaurants boost sales. BlackLight Media is a digital marketing agency that offers SEO, web design, social media marketing, conversion optimization, Google AdWords, and retargeting services in Edmonton, Alberta. We create customized marketing strategies that increase leads, optimized conversions, and deliver maximum ROI. Count on us for measurable results — we take pride in our proven track record and tried-and-tested strategies.